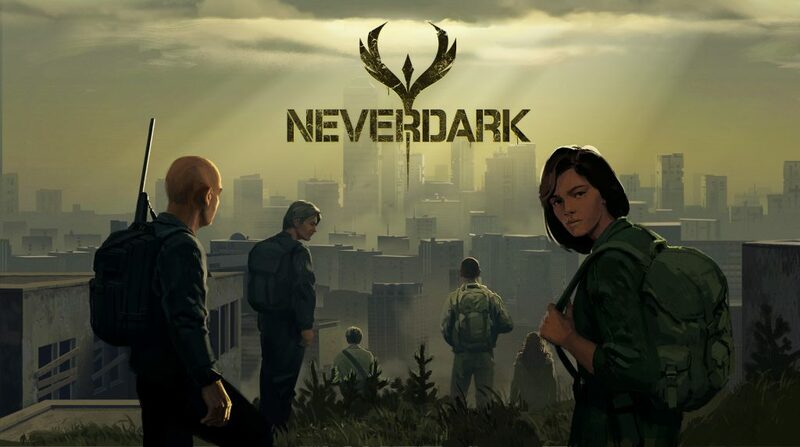 Neverdark is strategy game developed by Simteract and is being published by Slihterine in which the player controls a small pocket of survivors after an apocalyptic black out destroyed any form of energy and tech from our world. The game features both a strategy side, in which you manage your camp, and a tactical one when you meet and fight in the streets opposite gangs. You can settle down in real cities, with their map taken from the real world: Paris, Tokyo and New York – you can place you HQ in Notre-dame! What if ten years from now the world was deprived of all its technology. Electricity, the internet, global communications, electronic devices. All gone. It would still be our world, the streets we used walk every day to go to work, the buildings, our favourite spots, the places we used to chill on a Sunday morning. It would still all be there, but ravaged by war. The lights are gone and have been replaced by darkness and hostility. It’s a new, old world. This new world is Neverdark. An original RTS, developed by Polish studio Simteract. Set in the real life streets of Paris, New York and Tokyo, it tells the story of a group of survivors struggling for control of the cities. “We fell in love with Neverdark from Day One”, said Iain McNeil, Development Director of Slitherine. “It’s a fresh approach to strategy gaming and it has so many departures from the classic tropes, whilst still being true to the genre. It has all the elements to become a long-lasting franchise, which we will be investing in for a long time to come”. Neverdark is a pausable real-time strategy game set in a post-apocalyptic world. Following a global blackout, society has totally collapsed. Your duty will be to rebuild it, leading a group of survivors, and facing other factions over the control of the city. Invest resources, expand your influence and take over the city, street by street. Neverdark is as much about politics and social evolution as is about combat. In Neverdark you play in a fallen and ruined city; you need to rebuild it, adapt it to new needs and conditions and build a new kind of infrastructure. But you are going to play across real urban maps of existing cities; Paris, New York and Tokyo. You will find yourself leading your people and expanding across familiar streets. Take over existing buildings and converting them in what you need. You might want to use the Louvre Museum as your Black Market, or it might be a good idea to grow your crops on Rooftop Farms in Brooklyn? It is entirely up to you. A new type of society has emerged, one without a central government and your goal is to shape it and see it evolve. React to dynamic random events, which force you to make ethical or political decisions. Pass new laws and edicts, adapting to ever-changing conditions. Adopt new policies, and decide what direction your new society will take. Sooner or later, you need to deal with other groups competing for control of the city. Both you and your enemies have powerful and influential agents at your disposal. You will need to send those specialists across the city to perform political and military tasks. Eventually, the streets will run red with blood. Take the fight to the streets, and lead your crews of specialists in exciting turn-based tactical combat missions. Check out Neverdark on Steam.